US based advocacy group Sikhs For Justice (SJF) had said the charges were not justified and accused Puneet Chandhok of instigating the attacks. CHANDIGARH: Sutter County Sherriff's Office in California, USA has charged two pro-Khalistan supporters, Sukhwinder Singh and Gurdeep Singh for attacking Delhi Sikh Gurdwara Management Committee (DSGMC) President and senior Shiromani Akali Dal leader Manjit GK during his visit to Yuba City Gurdwara on August 25. US based advocacy group Sikhs For Justice (SJF) had said the charges were not justified and accused Puneet Chandhok of instigating the attacks. "All evidence and videos show that Puneet Chandok who is close to Manjit GK instigated the violence against the Referendum 2020 campaigners who were exercising their right of protest protected by the First Amendment of the US Constitution. We will be defending the charges against both our campaigners since they were only protesting GK's presence outside Yuba City Gurdwara,'' said Gurpatwant Singh Pannun dvisor to SFJ. SFJ in its August 27 communiqué to Kirstjen M. Nielsen, Secretary Department of Homeland Security urged that visa of Manjit Singh GK should be revoked for -"engaging in political propaganda on behalf of a foreign principal without registering as required under -"Foreign Agents Registration Act-" (22 USC Section 611(c)). Sukhwinder and Gurdeep both residents of California are closely associated with Referendum 2020 Campaign. The court date for the case has been set for October 15 before Sutter County Superior Court, Yuba City, California. This was the second attack on Manjit GK as earlier last week Manjit along with his family was attacked by protesters outside a TV studio in New York by pro-Khalistan supporters. Yesterday evening US Ambassador Kenneth I Juster had a 45-minute long meeting with Shiromani Akali Dal president and former Deputy CM Punjab Sukhbir Singh Badal at the party's headquarters here. Sukhbir discussed the issue of problems being faced by members of the Sikh community in the USA and referred to the incidence of racial attacks against them, especially in the recent times. 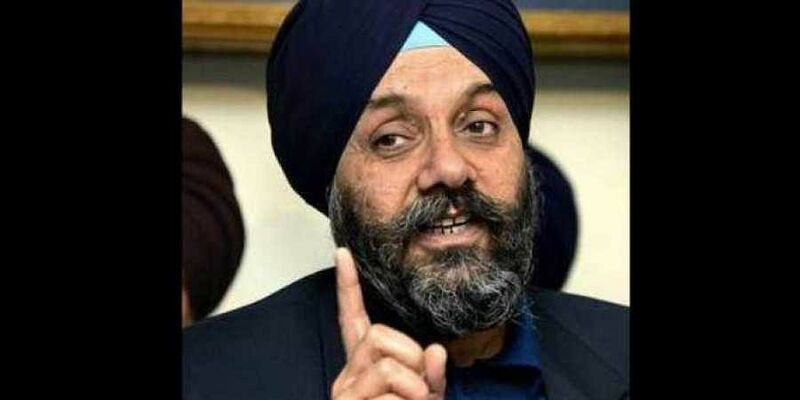 He specifically urged Juster to use his good office to expedite action against hose guilty of an attack on the DSGMC President Manjit Singh GK during his trip to the USA. Juster assured Sukhbir that he would do all he can to ensure that justice is delivered expeditiously in the case. Earlier leading a Akali Dal delegation Union Minster Harsimrat Kaur Badal had met US Ambassador Juster on Monday and raised the matter pertaining to attack on Manit Singh GK in California. "We met the US ambassador and he assured us action will be taken and all help will be extended,'' she said then.